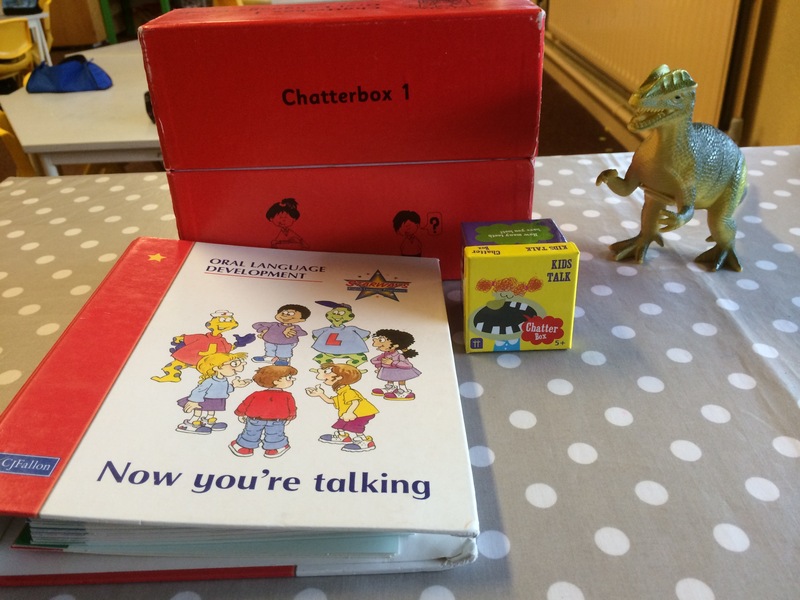 I have had some questions about the Oral Language Schemes that I use so I thought that I would put together a small post about it. I just love, love, love getting comments and questions from you all. It is great to be able to blog about things that you are interested in and have questions about so keep them coming! It is very nicely laid out and very user friendly. The objectives are very clearly marked and there are lots of ideas in each section. The downside is that lots of the book refers to the Starways Characters and Posters from their old reading scheme. I still have most of the posters so it’s not too much of hassle to use. Still, it’s a great resources and I am happy to continue using it. 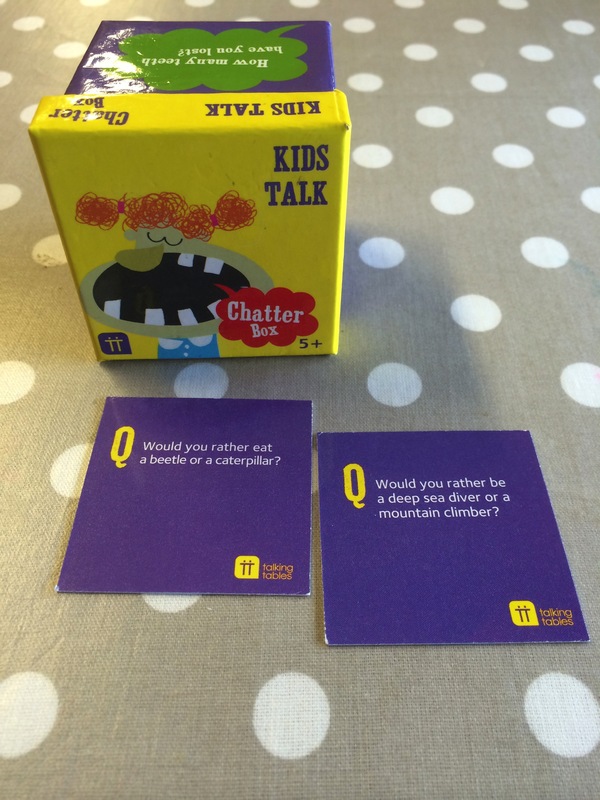 I think that most of you are familiar with Chatterbox. This is still available for purchase according to the EDCO Price list that I just opened online. Again, very user friendly with lots of lessons to choose from. It is better than “Now you’re talking” in the sense that it does not refer to any particular literacy scheme so no posters or books are needed to supplement it. It looks a little dull but the games and activities held inside are certainly of a good standard and cover all of the necessary objectives. It is available at a cost of 27.95 and is worth purchasing if you don’t already have it. 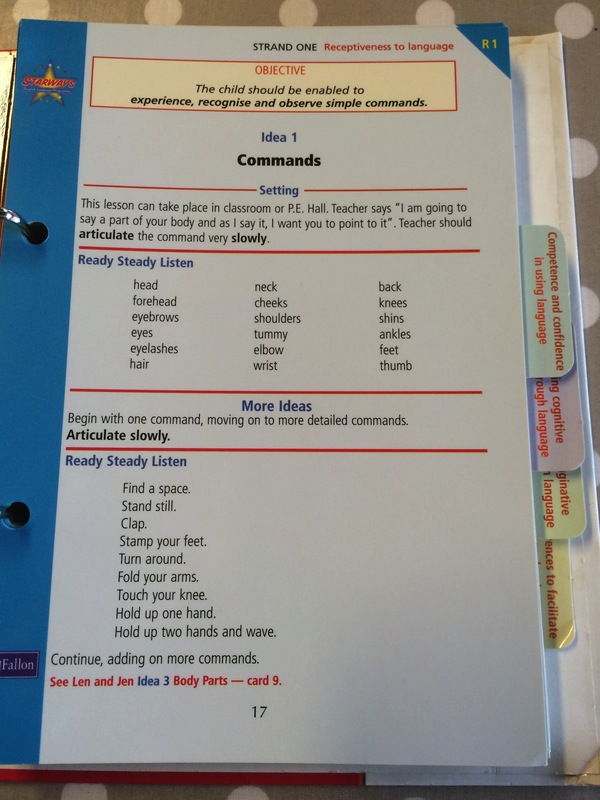 I find that Oral Language Schemes can be a little, well…boring at times. It often seems to me that the topics are “serious” and children need to have a “worthy” conversation on the assigned topic. Sure, the above mentioned schemes have some fun games but I have never witnessed children rolling around my room in hysterics or whooping for joy when I read out the topic card. That was until I found this beauty!!! 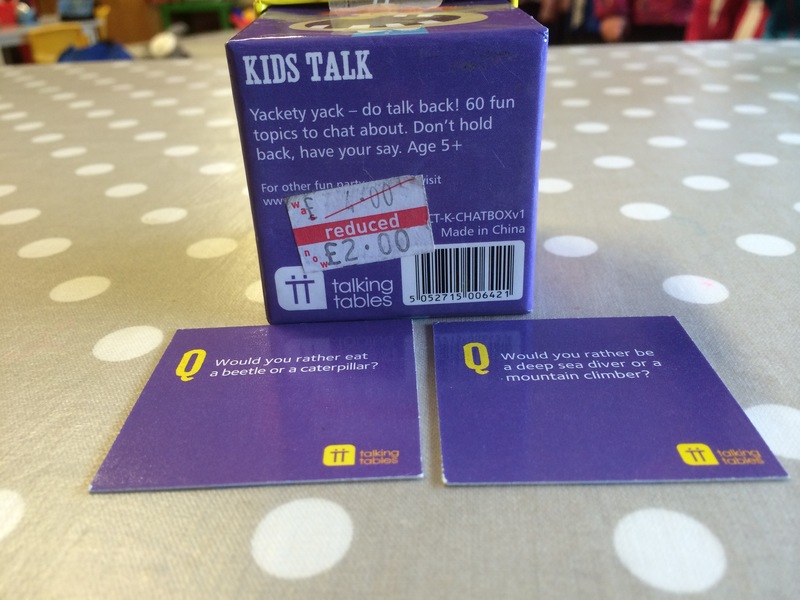 I found Chatter Box Kids Talk in Paperchase in Chiswick while on my Summer holidays two years ago. It was on a bottom shelf and I almost missed what turned out to be the bargain of the century! Just look at how much it cost!! I loved using this when I had Senior Infants. We had so much fun chatting and laughing about the topics. I love that they are a bit “zany” and unpredictable. I always make children give the reasons “why” the made their choice. I feel that ‘Think, Pair, Share” works very well as a methodology for these cards. You close your eyes and think about your answer, you talk to your partner, then you share your partners response and not your own. I like that there is a responsibility on partner to listen carefully and report accurately. No half-hearted listening will apply here! 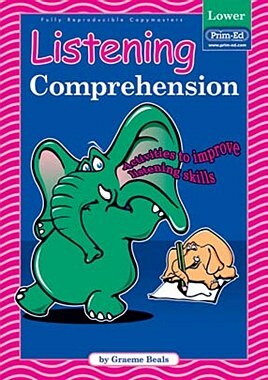 Prim-Ed have an absolutely fantastic Listening Comprehension book for 14.95 that I use every year. Click here for a link. I forgot to take a photograph from my book so here is one from their website. 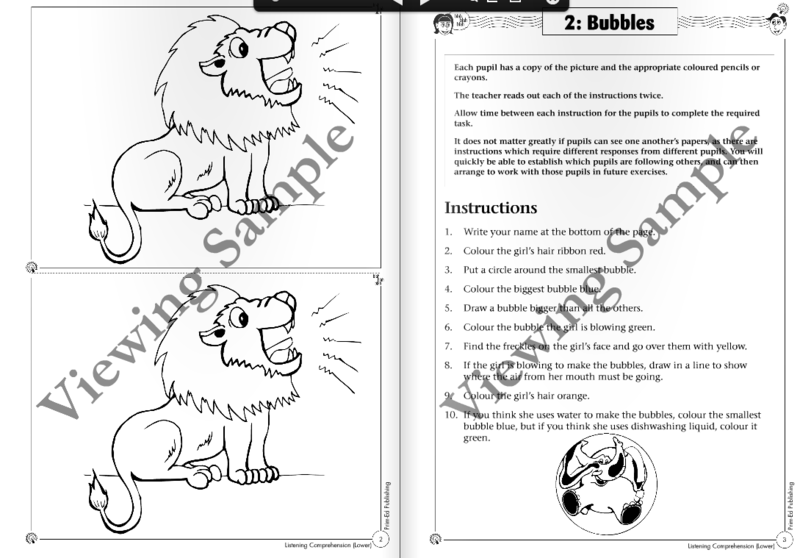 Each child gets a copy of the Lion and then completes the verbal instructions given by you. There is a record sheet provided for you to keep score is necessary. This was one of my “go to” resources for the beginning of the year when I taught Senior Infants. We completed one a day for the month of September to promote good listening skills. It’s worth purchasing if you don’t already have it. I intend on using it during the final term with my Junior Infants. Is anyone using some other resources that they just love? Please leave a comment and let us all in on the secret 😉 Any one using the new Wonderland Oral Language Scheme? Curious to hear about it if you are! Squeezing a story into your day! How story time integrates with other learning. My Top 5 Teacher Resources!